in Utah to apply and be a part of our Impact Fellows program. The Impact Fellows program provides impact investing, policy innovation, data science, and communications. Submit your application to become an Impact Fellow. All majors and years are invited to apply. Enter your time, keep updated on upcoming events, and find useful tools for completing your work. See which courses are taught by Sorenson Impact faculty and professionals at the University of Utah. Talking to Sorenson Impact student fellow Luke Tuttle yields a very clear theme: he wants people to understand each other. Trillions of dollars are about to change hands. Where is this money going, and what's going to happen to it? Liberty & Justice is obviously having a huge impact on its community in Liberia. But the company has also changed the lives of the students at Sorenson Impact Center who worked on securing funding. Impact fellows work with real money and real companies — just like Liberty & Justice — to gain experience that will benefit them in their careers. If anything in this world is capable of ruining Jackie Sullivan’s day, it’s the feeling of being confined or limited in what she can do. If you talk to Jackie, even briefly, you’ll quickly realize how much she loves change, versatility, and learning new things. The first big project in which I participated as a Policy Innovation Fellow was the Early Childhood Innovation Lab (ECIL). The inaugural lab was a collaboration between the National Head Start Association, the Sorenson Impact Center, and the David Eccles School of Business that aims to enable early childhood service providers to create sustainable solutions to the most pressing issues they face at work. Since joining Sorenson Impact nearly two years ago, I am frequently reminded of the nascent state of social impact investing. Earlier this fall, I attended Sankalp’s third annual Southeast Asia Summit hosted in Jakarta, Indonesia. While there, I met with dozens of social entrepreneurs, on-the-ground investors, and local incubators. As the field is maturing, many conferences I attend debate the same three questions: What is social impact investing? How can we help others get more involved in this space? and finally, What is the future of impact investing? As a recent graduate from the University of Utah, I’ve experienced firsthand how empowering receiving a diploma is. A small, 11x14” piece of paper represents four years of learning about topics you didn’t know existed, building lasting connections with professors and peers, and an unbelievable amount of hard work. The same small piece of paper also represents overcoming the hurdles that come hand-in-hand with higher education: rising tuition costs, student debt, and an increasingly competitive environment. Meet Sammy Flitton, one of our many brilliant Impact Fellows. As Jeramy Lund mentioned in an earlier article, the Sorenson Impact Center “provides a best-in-class experiential education opportunity for the students involved.” I completely agree, and from my perspective as an impact fellow, I’d like to add another word to the phrase: experimental. This adds important context around the education style at the Center. Empowering future leaders to make a positive impact. The Impact Fellows program provides unparalleled opportunities (both paid and unpaid) for undergraduate and graduate students of all majors interested in working in the social impact space. Students develop a unique skillset that prepares them for cross-sector, cutting-edge careers. Specifically, students have the option to work on projects within four different tracks: impact investing, data science, policy innovation, and graphic design + communications. Impact Fellows gain experience working with firms, funds, governments, entrepreneurs, and nonprofits from different sectors and regions around the world. Impact Fellows are primarily University of Utah students; however, outstanding students from other universities are encouraged to apply. We recruit during the fall, spring, and summer semesters and require a two-semester commitment. Ideally, the Center seeks students interested in working for the remainder of their college careers. Impact Fellows hail from various majors, backgrounds, and levels of study. The opportunity to see a project from start to finish was invaluable. I feel I have a stake in impactful projects and that my ideas and work are valued. I loved working on a team and with industry experts to understand what impact investors look for in a business. Impact Fellows interested in finance can participate in our student-run venture fund (UVFII) and the fixed income impact fund (FIIF). Impact Fellows receive Wall Street-style training (with access to Bloomberg Terminals and other investment software) and collaborate with leading social venture funds, banks, foundations, consulting firms and social entrepreneurs to perform due diligence, to identify and recommend investments, and to grow businesses that have a social impact. Students also have an option to work with the University Venture Fund II, which will invest in companies that are seeking positive social and financial performance. UVF II’s network will provide best-in-class deal flow of impact investments for the Fund. 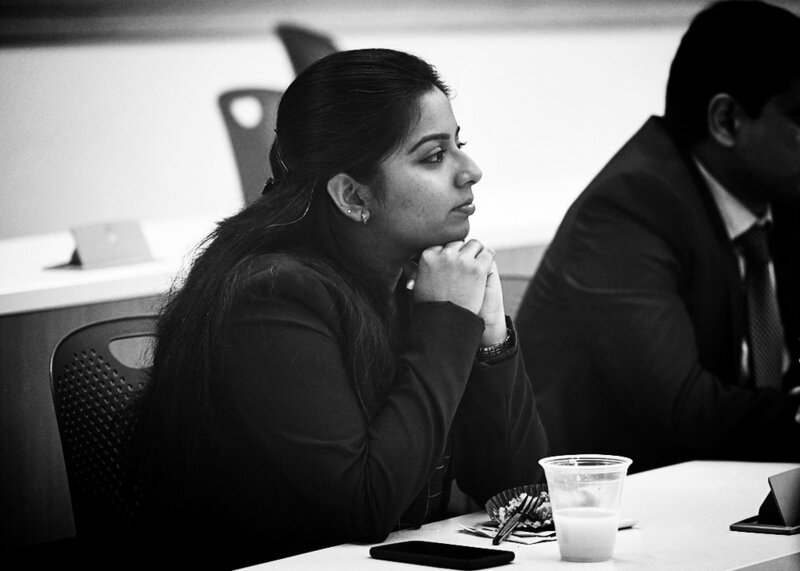 It builds on the learnings from the original University Venture Fund to provide an unparalleled experiential education for students interested in impact investing, while providing professional governance and investment rigor that sophisticated investors require. For more information on UVF II, e-mail us. Impact Fellows interested in social issues and public policy have the opportunity to work on a variety of government and nonprofit consulting projects. Our fellows receive exposure to the most innovative tools being used to address social issues today, including Pay for Success projects, place-based initiatives, data-driven decision making and performance-based contracting. Issue areas addressed include homelessness, criminal recidivism, public health, early childhood education, and more. Data science Impact Fellows work alongside the data science team to provide customized data diagnostics for clients, write code, learn best practices around data sharing and security, as well as create data visualizations and dashboards. They are exposed to cutting-edge practices around impact measurement for both public and private sector projects and investments. Communications and graphic design Impact Fellows work to share innovative ideas and stories in a quickly-expanding space by building web, video, and print content with the Center. Students have the opportunity to work with all focus areas in the Center to connect with impact investors, governments, nonprofits, entrepreneurs, and students. Applications for Summer and Fall 2019 open on March 1. 20 hours of work per week. At least two semesters (e.g., Fall and Spring). Friday morning meetings from 9 am to noon. Undergraduate and graduate students from all majors are eligible to apply. Still have questions on our student program? Sorenson Impact is housed within the University of Utah’s David Eccles School of Business. As such, we work to insert social impact into the academic curriculum at the University of Utah. Our focuses are on academic research, publications, and teaching in the areas of social impact and entrepreneurship within various departments and colleges across campus. For current Impact Fellows, please find helpful information and downloads below. Please fill out the project hours form so we can coordinate staffing and planning. Learn how to use R, Python, and data science online this spring semester! We have partnered up with DataCamp to provide our fellows with full access to the entire DataCamp course curriculum for the semester. To start, sign up through this link! Stay updated on ongoing events at the Center!